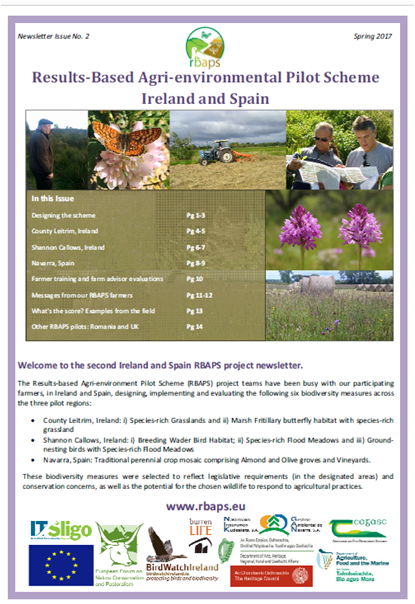 The RBAPS end of project seminar was aimed at anyone interested in the future of agri-environment schemes, including Farmers, Farming authorities and advisors, agri-environment administrators, and those interested in European Innovation Partnerships, particularly those with a biodiversity focus. Seminar theme: How can agri-environment schemes be designed to pay farmers for the quality of the biodiversity on their farmland? 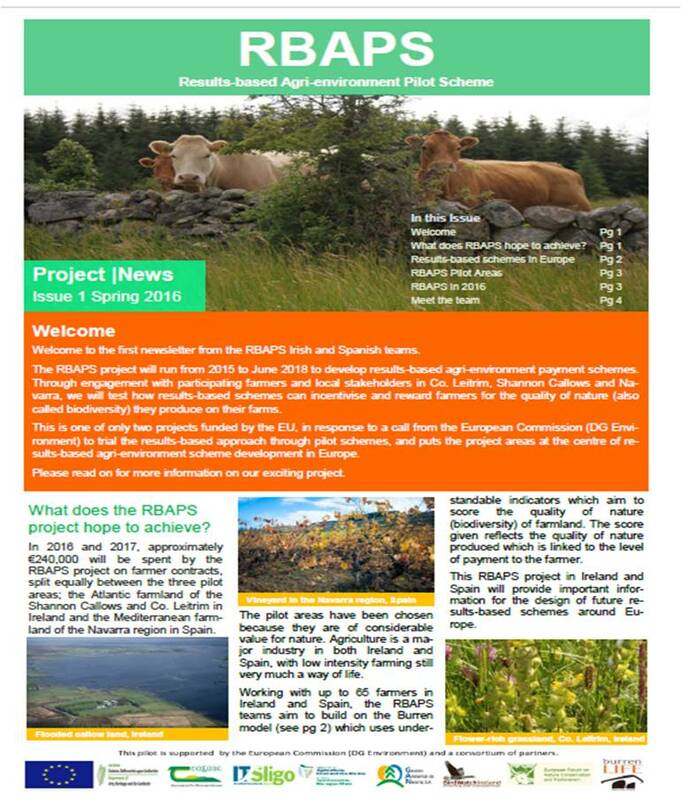 Over the course of 3.5 years, the Results-based Agri-environmental Payment Scheme (RBAPS) project trialled a mode of paying farmers for the quality of biodiversity on their farms in three differing pilot locations of County Leitrim and the Shannon Callow floodplain in Ireland, and the Navarra region of Spain. This seminar presented the experiences of the RBAPS and other projects, including the Hen Harrier and BRIDE EIPs, and will explore how payments for the quality of farmland biodiversity can work in reality. Derek McLoughlin, EFNCP, gave a brief overview of the project outputs and where to find them (www.rbaps.eu/documents).